I’m excited to share with you a recent project that I’ve been working on for the past few months! 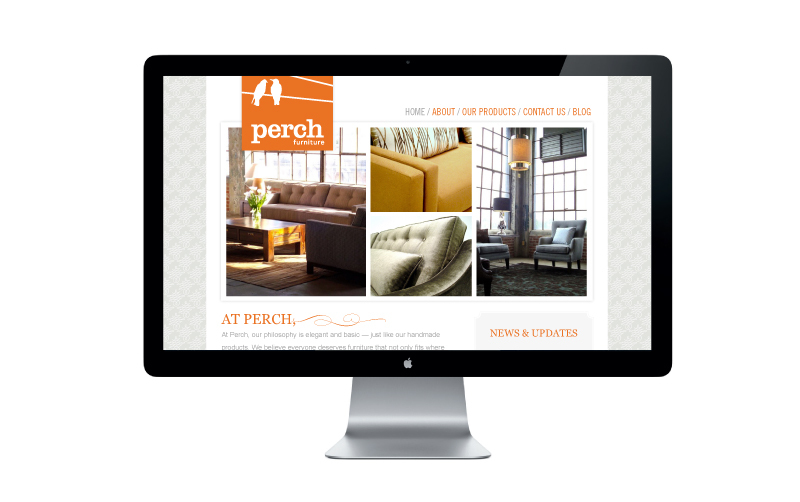 I worked closely with Perch Furniture owner Willi Galloway on a design of her website. 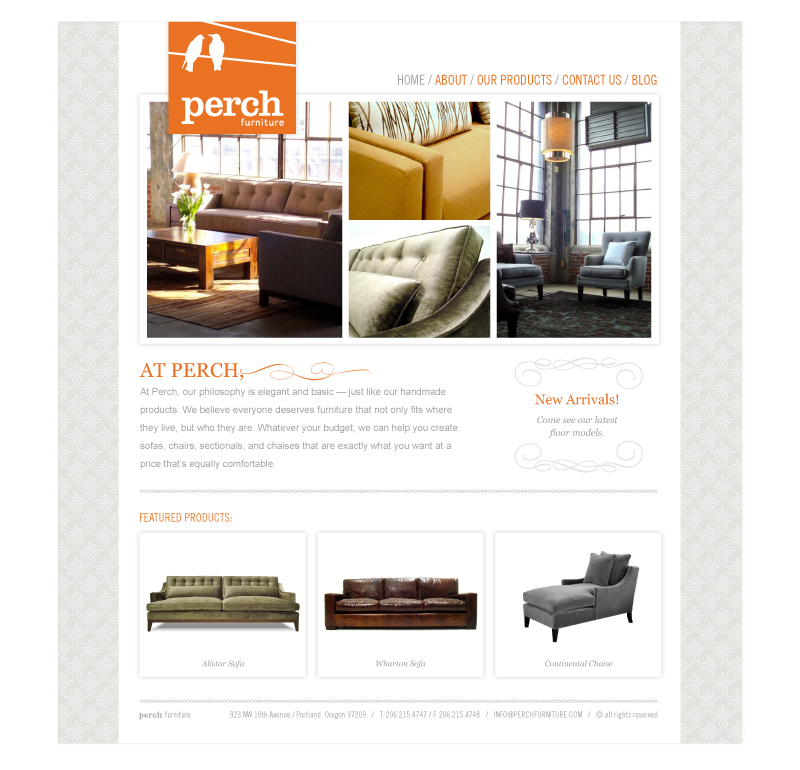 Perch Furniture is a custom sofa studio located in Portland, Oregon. Willi Galloway and her team is dedicated to helping customers create custom furniture (sofas and chairs) that fits their lifestyle and most importantly suits any budget. Almost everything in their store is custom. Made-to-order and built in the United States. 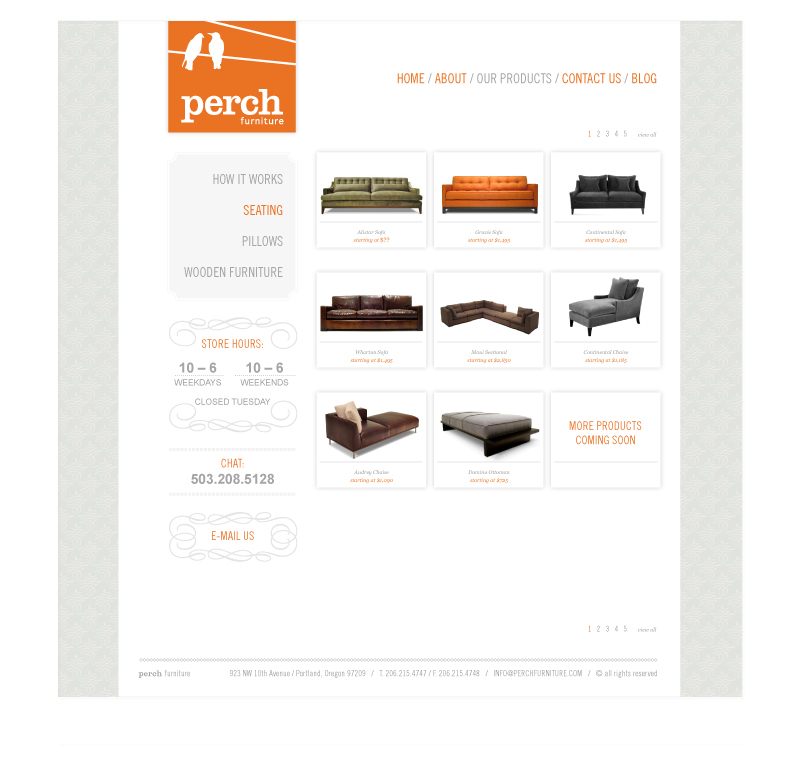 I designed their website to showcase a sample selection of their offerings. I started with an existing logo and color palette and designed her website with a clean and functional layout. I take on a limited number of web design projects each year. If you are interested in working with me please inquire about my schedule and pricing.